There is no doubt that Smackdown has produced better shows than Raw this year. Everything including the storylines and matches is better in Smackdown. Whenever you tune in to the show, you know you will get to see something interesting. There are various reasons because of which Raw has taken such a drop in the ratings as till last year Raw was considered as the sounder show of the two. Some of the episodes get really boring and repetitive. Even a special appearance from The Undertaker and Shawn Micheals did not affect the ratings much. On the other hand, Smackdown is having one of their best years in terms of overall performance. Let's look at the possible reasons as to why Smackdown is having a better year so far. Throughout the year, Raw has involved an Authority angle in their storyline in some way or the other. After Royal Rumble, it was Stephnie McMahon (Raw Commissioner) and Ronda Rousey with former threatening to control the latter as she is her 'employee' now. 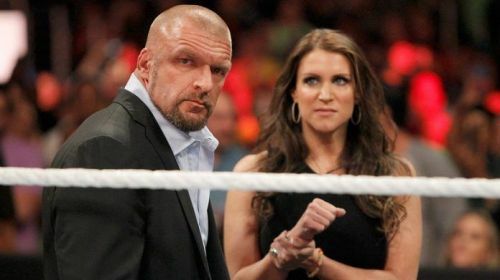 It also involved Kurt Angle(General Manager) who had personal grudges against Triple H and Stephnie McMahon. The feud overall was good as the main motive of it was to establish Rousey as a dominating and fearless wrestler, which worked. After the feud ended at Wrestlemania 34, it achieved its purpose. But the authority angle still continued in the form of Baron Corbin. Stephnie made Corbin Raw's constable to keep an eye on Kurt and they started having verbal dispute every now and then related to booking issues. It gets repetitive and it has nothing which fans have not seen before in WWE. It is not the same on Smackdown. The limelight is with superstars only as there is only one General Manager, Paige who makes all the matches. Smackdown's commissioner, Shane McMahon also not gets involved in it.